Another finished quilt, first mentioned here. 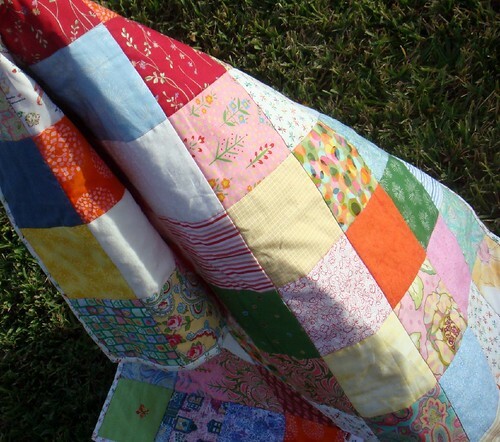 Basic random patchwork squares. 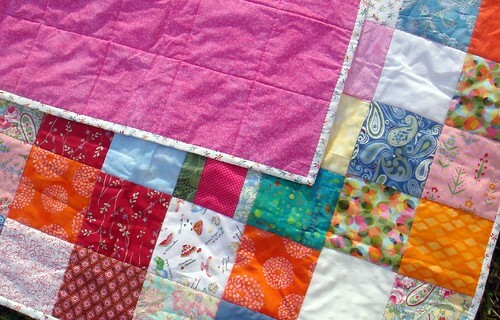 The binding is the dragonfly fabric that inspired the quilt and the back is bright pink, perfect for a little girl. The quilting is done "in the ditch" with bright pink thread.